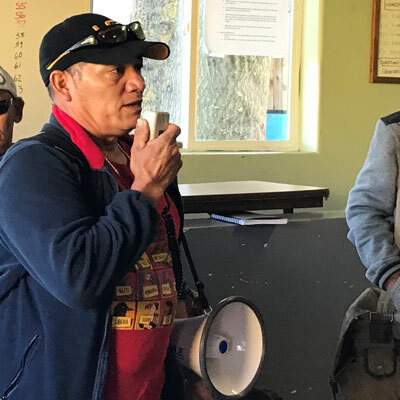 Santos Canales, 47 years old has lived in the US since 2001.He is a TPS Holder and Day Laborer from Honduras that currently resides in New Orleans, Louisiana. Santos is a construction worker who travelled to New Orleans to assist with the reconstruction efforts following Hurricane Katrina. The “Journey For Justice” was the perfect opportunity to be a part of something greater than me, there are so many fights and struggles with so many similarities . As a “Jornalero” (Day Laborer) we have a lot to overcome and I’m on this journey to elevate the voices of other members of my community and to fight to keep all of these TPS Families together.